All annuals in Flattop Greenhouse are 25% off! There is nothing more necessary to say, the weather is extremely wonderful. It's been so wonderful in fact, that I've hardly noticed that it's CMA week here in Nashville. This could possibly be the first CMA Music Fest/Fan Fair event where there haven’t been at least some thunderstorms. Normally, Mother Nature seems to like to soak our visitors with a few torrential downpours. Guess she’s taking the week off. So, not only is it very pleasant for outdoor concertgoers, from the gardener’s prospective, it is downright splendiferous. Anyone who might have just begun gardening this year is having a wonderful case of beginner’s luck. Most things planted this season have taken minimal care…to this point. Even though the ground is beginning to get dry, more scattered thunderstorms are forecast for next week. It’s all the more reason to finish that project you thought you had run out of time on. It's one of the great things about purchasing container-grown plants: there is no season to planting and most importantly no transplant shock. It’s a great time to work in the garden; we have a plethora to choose from. We love helping you get your garden growing at its very best. We desire to help you get the right plants in the right place, the first time. We strongly encourage you to bring along photos of your landscape area(s) in question, on your phone or tablet. 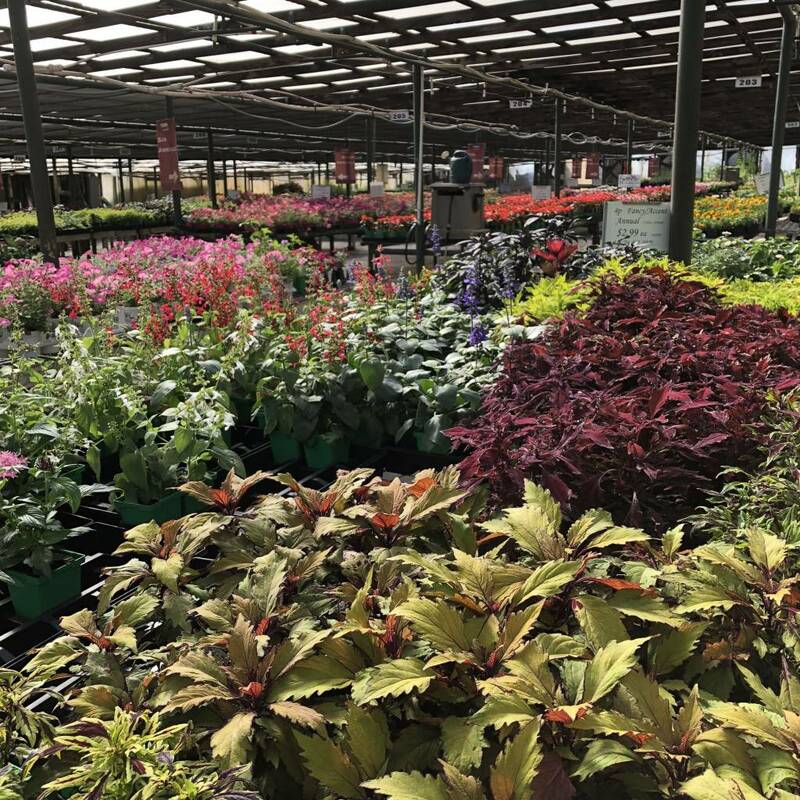 There is only one thing that makes the favorable weather even better; getting a deal on what you need to plant. From now through the end of business on Thrusday June 14th, all annual plants are 25% off! That’s right, as a BatesRewards member, you will receive 25% off all annuals in the Flattop Greenhouse (near the perennial area). At this time of year it is normal to find a limited selection elsewhere, …but not at Bates Nursery. Our selection is stellar. Our staff is at the ready. Make the most of this late spring splendor! Come see us and save!